High Point Tree & Fence specializes in professional tree trimming and pruning so that your property can maintain it’s beauty year-round. Whether you need a tree trimming service to remove branches that are growing too close to the house, or you’re looking for a pristine tree pruning service to tighten up the look of your trees, High Point Tree & Fence has you covered. Call us 336-861-9058 to speak with one of our professionals and discuss our tree trimming services in High Point, Greensboro and Winston-Salem, NC. 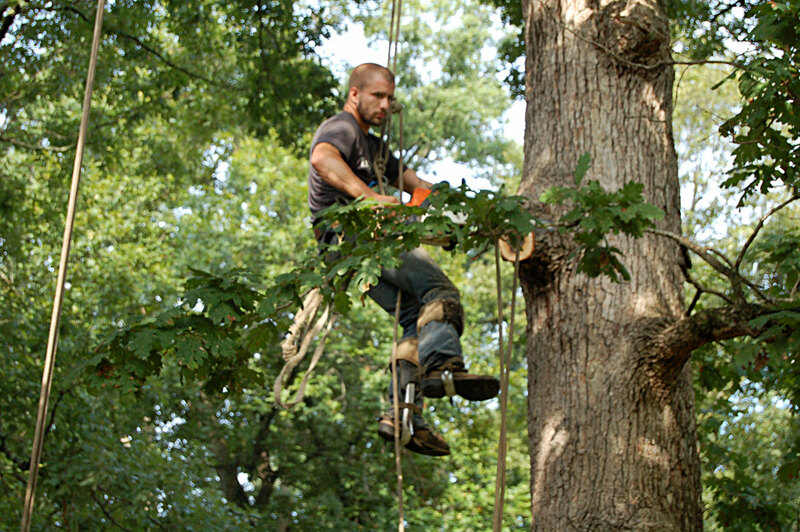 While minor jobs can be done on your own, be sure you hire a professional for any major tree trimming work you need completed. Not only can large jobs be dangerous, but you can decrease your property’s value if you don’t know what you’re doing when it comes to tree pruning. Not sure if the job is too big or not? If you’re in High Point, Greensboro or Winston Salem, NC then reach out to High Point Tree & Fence today. We service the entire Triad area and will have one of our professionals come out to your property, asses the job, and provide you with an estimate. With High Point Tree & Fence, you’ll never run the risk of a poor tree trimming job. We are surrounded by beautiful trees in High Point, Greensboro, Winston-Salem and the entire Triad area. Because of this, however, we are also tasked with taking care of them. Poor tree trimming or tree pruning can cause damage to the tree. Avoid the potential of this by turning to High Point Tree & Fence for professional tree trimming and pruning services. Call us today to inquire about trimming or pruning the trees on your property. Poor tree trimming or tree pruning can cause damage to the tree.